Contact Address : 5/2C, 1st Street, Abhiramapuram,Chennai-600018,Tamil Nadu,India. Abhishek Raghuram has started creating a niche for himself in the world of carnatic music. The talented artist hails from a family with rich music lineage. He is the grandson of the legendary mrudangam player, Sri Palghat Raghu. Abhishek is also related to Sri Lalgudi Jayaraman in his maternal side. 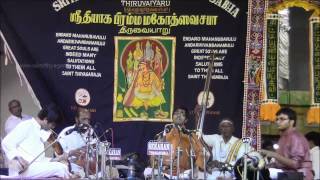 Having started training on mrudangam and kanjira at a young age, Abhishek started training on vocal music under Sri P.S.Narayanaswamy. He has performed in prominent stages including London, Dubai, New Zealand, Australia and Canada. Awards / Accolades : Abhishek has won many awards and accolades including - 'Yuva Puraskar' from Sangeet Natak Akademi, 'Senior Outstanding Vocalist' from The Music Academy, 'Vasant Shrest' from Vasanta Memorial Trust, 'Asthana Vidhwan' from Kanchi Kamakoti Peetam.